VodaFest invites everyone to join our working bee to complete Stage 1 of the Children's Playground at Sumava. We will meet on Saturday, 19 October at 10 am. 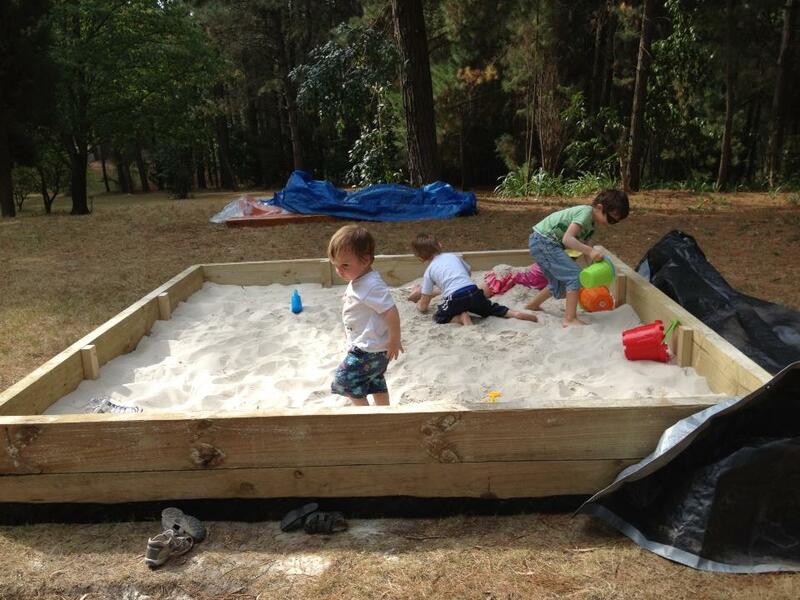 The cubby house needs painting inside and out, there's some work to be done on the sandpit and the slide needs testing. Everyone's welcome, bring working/painting clothes, paint brush and an electric sander if daddy has one. At this Sumava working bee, we're helping VodaFest association to build their shed to store all the festival props and stuff. You need to bring your muscles, and get ready to mix some concrete. We'll sure have a campfire and a couple of cold ones afterwards. In preparation for the traditional day of Saint Wenceslaus to be held on Sunday 30 September 2012, we invite you to join us for the working bee on Saturday the week before. In order to prepare Sumava Peksa Park for its biggest annual celebration we will clean, cut, mow, dig, lift and move. This is an event for all members of the community willing to help. Camp fire or grill will be ready so bring a sausage and a drink to have to relax after work. We hope to see you there! On the weekend before the Saint Wenceslaus celebrations, a working bee will be held at Sumava Peksa Park. Like every year at this time, the ouside areas will be cleaned up, and main hall prepared for lunch. Bring your own food and drinks, camp fire and BBQ will be set up. Every helping hand is welcome!